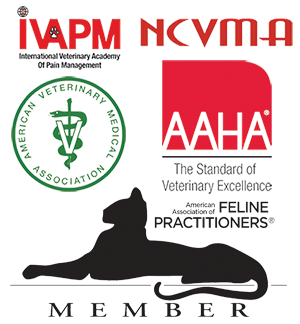 Here at Town ‘N’ Country Animal Hospital we strive to provide advanced medical care to our patients. We are excited to announce that we have added in house ultrasound imaging to our roster of services! 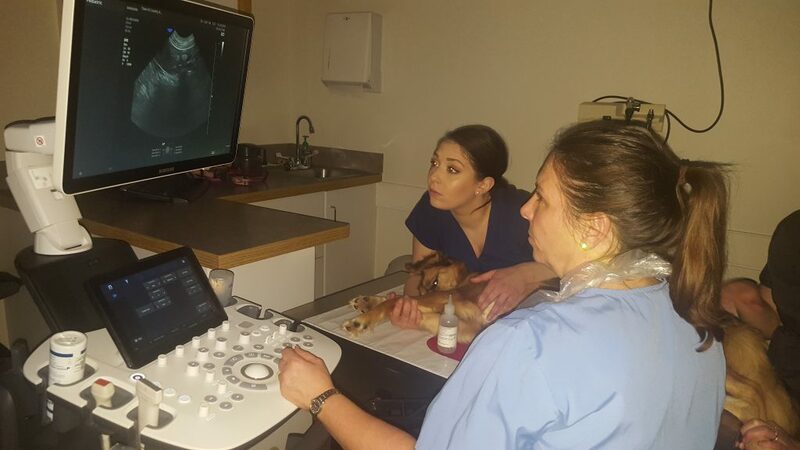 Ultrasound, the same technology used to generate sonograms during human pregnancy, uses sound waves transmitted into the body to create an image. 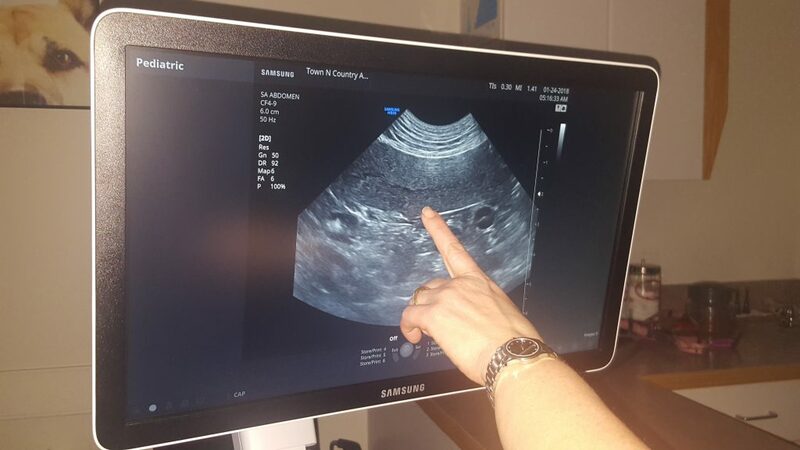 Dr. Sharon King will be providing this new technology to our patients, thanks to the recent purchase of a state of the art ultrasound machine. 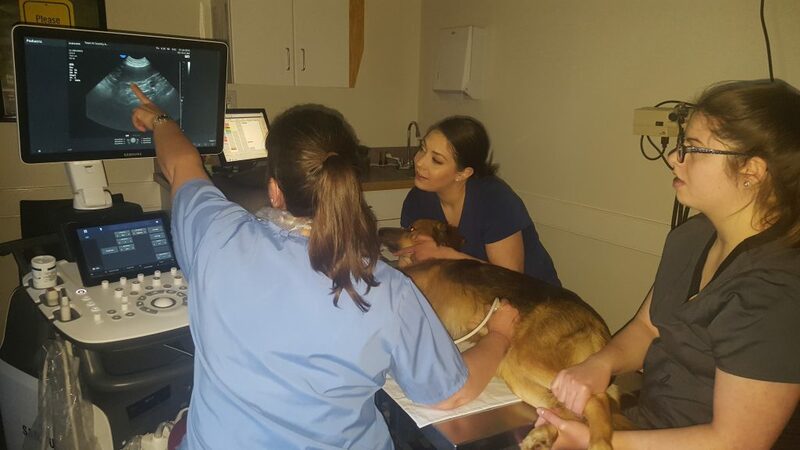 The practice plans to utilize the machine to assist with abdominal exams but we’ve already used it to check masses on the surface of the skin; and to look for tumors, cysts, and bladder stones within the body. In the future we hope to use the machine to examine the heart for signs of heart disease. The ultrasound machine is the type found in specialty practices. It allows for finer resolution images. We have both linear and convex probes to allow for greatest image detail, helping us to make accurate interpretations and applications to our patients.